The United States Obesity Epidemic’s impact on children is on every news outlet. But the battle against obesity for older Americans is a quiet battle that the nation is losing. 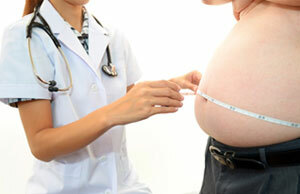 Obese individuals require the most medical care in our nation. Hospitals and nursing homes are facing an influx of an older population plagued by obesity. But the cost of medical care for obese patients is rising dramatically to the point where many facilities cannot cope. Should medical accommodations for obesity be legally protected under the Americans with Disabilities Act (ADA)? If an obese patient is denied treatment at a hospital or a hospice, will the facility have to adhere to the ADA? If the patient brings suit against the facility, should they win? What Does the ADA Say About Obesity? Obesity alone is not considered a disability. The individual with obesity must prove that their disability is disabling or perceived to be disabling to others. But “morbid obesity” is a disability under the ADA. Obesity is a Body Mass Index (BMI) of over 30. Morbid obesity is a BMI of over 40. So if the individual has a BMI under 40, then their situation is judged on a case by case basis. If the individual’s ADA claim is approved, then they have a legally enforced right to accommodation. In this case, accommodation to access a public place: a medical facility. How Would a Facility Accommodate? A standard hospital bed can hold up to 350 pounds. A bariatric hospital bed that can accommodate a morbidly obese patient is extra wide and some models can hold up to 1,000 pounds. But they can cost at least $2,000 and up with an average of around $4,000. Essential medical equipment large enough to scan and x-ray obese patients can cost up to $650,000. Medical staff face higher rates of work injuries when moving and lifting obese patients. So patient lifts are necessary and can cost as much as $4,000 depending on the weight capacity. The doors of the facility may need to be widened to accommodate a bariatric bed. A bariatric bed can be 54 inches wide, but an average hospital door is 30 to 44 inches. These are some of the few additions and expansions a medical facility would need to make to accommodate an obese and/or morbidly obese person. The cost is enormous and the basic building structure of many facilities would need to be drastically altered to accommodate. Even ambulances are starting to change to accommodate larger patients. A standard ambulance costs $70,000, but a bariatric ambulance costs $110,000. This does not include a bariatric gurney, which costs an additional $4,000. In comparison, a standard gurney costs $1,000. How can facilities afford these accommodations? If An Obese Patient Files an ADA Claim, Should They Succeed? Short Answer: Probably Not. The vast majority of ADA claims filed for obesity discrimination is work related. There are a few ADA claims filed against private institutions, like nursing homes. A nursing home may not need a $650,000 medical equipment. However, they will need widened doorways, bariatric beds, and other accommodations for morbidly obese patients. If a patient is not admitted to a nursing home, it is most likely because the nursing home is not equipped to admit them. ADA claims are not the only legal claim a nursing home will face. Nursing homes vary in level of care and ability. If a nursing home is ill-equipped, they face wrongful death suits and negligence claims. The process for deciding an ADA claim is not yet clear for obesity. For workplace discrimination, the ADA determines if the required accommodations would be reasonable. The ADA also considers if the work environment was too dangerous for an employee with a disability to continue working. A patient has a right to preference of the location of a nursing home, hospital, or any medical facility where they get treatment. For their own safety though, patients with obesity should receive treatment at a facility that can give them the best possible care. The American Medical Association considers obesity a disease. Like any other disease, they must be treated at facilities that can care for them. Obesity can make conditions like diabetes or heart failure even more difficult for the patient and staff. A patient’s claim demanding admission into an ill-equipped facility should not succeed for safety reasons, including the patient’s own. The ADA will weigh many factors to determine a claim. However, obese patients seeking an ADA claim should realize a facility’s refusal can be for the patient’s benefit. « Can Donald Trump Actually Take Care of “the Muslim Problem” and Make America Great Again?